If you are paying your nanny £118 or more a week / £512 or more a month gross, or they have another job along side their post with you, you must register with HMRC as an Employer and make PAYE (Tax and National Insurance) payments if they apply. You can register as an Employer via the online form on the HMRC website: www.online.hmrc.gov.uk/shortforms/form/EMPREG_Sole or call the New Employer Helpline on 0300 200 3211. Nannies do not usually meet the HMRC criteria for being self-employed. Ensure your Nanny has the right to legally work in the UK. Give your nanny a contract of employment. Provide a payslip for your nanny with every payment. Provide a workplace pension for your nanny. Provide your nanny with a P60 at the end of the tax year. Report your payroll data to HMRC under the Real Time Information requirements, on or before your nanny’s pay day. Make PAYE payments to HMRC (these include the tax and national insurance deducted from your nanny’s wages and NI contributions incurred as an employer). Provide a P45 if the nanny leaves your employment. Provide statutory payments and holiday entitlement. Keep Payroll records for 3 years after the tax year they relate to. Real Time Information (RTI) reporting requires submissions of payroll data to be made to HMRC every time you run your payroll and this must be done via payroll software. As an Employer, you are responsible for making deductions of tax and National Insurance (PAYE) from your nanny’s payments, and also, making an Employer National Insurance contribution too. PAYE should be paid to HMRC on a monthly basis if the total exceeds £1,500. If it is less, you can pay on a quarterly basis in July, October, January and April. Please be aware that agreeing a net wage with your nanny could seriously increase the costs to you as an employer. When you agree a net wage, you also have to cover the nanny’s tax and NI contributions as well as your own NI contributions as an employer on top of the agreed amount. You are also technically liable to cover her/his pension contributions, student loan deductions (if applicable) and any other third party deductions (such as court orders for non-payment of council tax!). Any changes in your nanny’s tax coding could increase your costs dramatically. For full details of why this is, please click HERE. 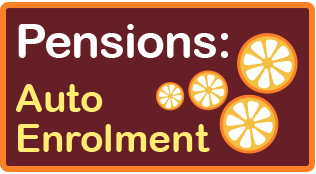 Since 1st October 2017, all new employers have immediate pension duties under the Auto Enrolment regulations. This means employers must provide and pay into a workplace pension for all eligible staff from their first day of work. This includes nannies. If your nanny is aged between 22 and state pension age and earns over £192 per week or £833 in any month, he/she must be enrolled into a workplace pensions scheme. ● All employees are entitled to 5.6 weeks paid holiday. ● The 8 bank holidays in the UK can be included in this. ● Holiday entitlement builds from the first day of employment, even for temporary nannies. ● If the employee leaves and has not taken the holiday they were entitled to, they must be paid for it instead. 25 + The National Living Wage applies which is £8.21 per hour. NB The NMW does not usually apply to a nanny who lives with you as part of the family in your home. ● If you pay your Nanny £118+ per week or £512+ per month (before deductions) and they are sick for 4 consecutive working days or more, you should pay Statutory Sick Pay (SSP). The first 3 days are known as “waiting days” and do not have to be paid. ● From the second week of sickness, a doctor’s certificate should be obtained to ensure that SSP can be paid. ● SSP is paid at a weekly rate of £94.25. ● All pregnant employees are entitled to Maternity Leave, regardless of how long they have been employed by you or how much they earn. ● Maternity leave entitlement is 52 weeks. ● All pregnant employees are entitled to paid time off for antenatal care. ● Your employee can start her maternity leave up to 11 weeks before the week the baby is due or work right up until the baby is born. If she is sick with a pregnancy related illness during the 4 weeks before the baby is due, maternity leave should start then. ● Your Nanny continues to accrue her holiday leave entitlement during maternity leave as if she were still at work. ● It is unlawful to treat a woman less favourably due to pregnancy or maternity leave. ● If you pay your employee £118+ per week or £512+ per month (before deductions) and she becomes pregnant while in your employment, she must be paid Statutory Maternity Pay (SMP). ● SMP is paid for 39 weeks from the start of her maternity leave. ● Your employee must provide you with medical evidence that she is expecting a baby if she is to receive SMP. This comes in the form MATB1 which is issued by her midwife or doctor. As well as this, she must also inform you in writing that she is pregnant, the date the baby is due and when she intends to start her maternity leave. This needs to be with you during or before the 15th week before the baby is due. ● Within 28 days of receiving your employee’s notification that she is pregnant, you must acknowledge the details in writing and state the date which she would be due to return. ● If your employee leaves you after the 15th week before the baby is due, you still have to pay her all of her SMP entitlement. ● SMP is subject to tax and National Insurance in the same way as normal wages. ● As a small employer, you will be compensated for all of the SMP you have paid and qualify for an additional 3% compensation. ● Advance funding from HM Revenue & Customs for SMP payments is available in some cases. 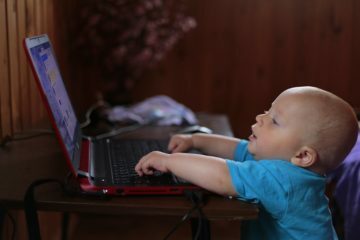 Can I get help with the costs of employing a nanny? If your nanny is registered with Ofsted, you may be entitled to help with the childcare costs in the form of Childcare Vouchers from your Employer or the Childcare element of Working Tax Credits.